an overview of alternative approaches to gamut mapping proposed by the ISO and the CIE including an analysis of the building blocks of gamut mapping algorithms and the factors affecting their performance. Ján Morovi is currently a Senior Color Scientist at Hewlett-Packard Espanola, Barcelona, Spain. He is highly regarded in the field of colour science, being Chair of the CIE (International Commission on Illumination) technical committee 8-03 on gamut mapping, a post he has held since 1998. Before his appointment in industry for Hewlett-Packard, Dr Morovi has also had academic experience at the University of Derby, UK. He has delivered lectures to an international audience, both academic and industrial, led industrially funded projects, and developed new commercial technologies. In addition, he has authored 62 academic publications, including book chapters, journal, and conference papers on colour gamut mapping, and also helped to create a CIE technical report detailing guidelines for the Evaluation of Mapping Algorithms. 2. Basics of Color Science. 3. Desired Color Reproduction Properties and their Evaluation. 4. Color Reproduction Data Flows. 5. Overview of Gamut Mapping. 6. Color Spaces for Gamut Mapping. 7. Basic Computational Geometry for Gamut Mapping. 8. Color Gamuts and their Computation. 9. A Case Study: Minimum Color Difference Gamut Clipping. 10. Survey of Gamut Mapping Algorithms. 11. 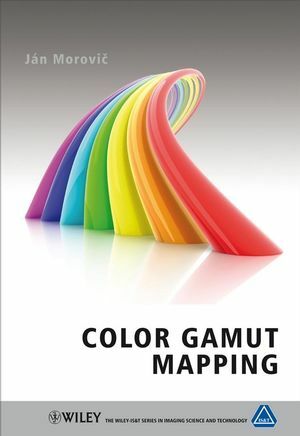 Gamut Mapping Algorithms and Color Management Systems. 12. Evaluating Gamut Mapping Algorithms.